Although most people who have a security system are familiar with DVR systems and the different types of security cameras that are available, a lot of people do not think about incorporating microphones into their security systems. Although microphones are not for everyone, they can be a beneficial addition to some security systems, whether in the home or at the family's business. 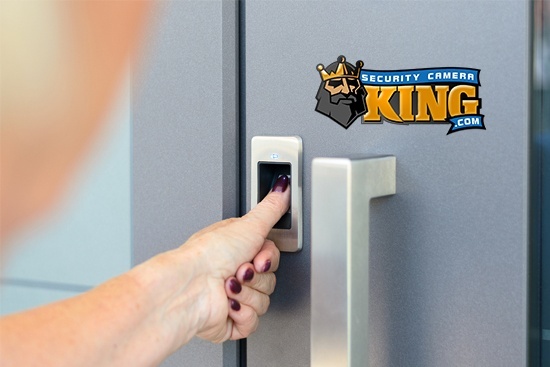 Although most people who have a security system are familiar with DVR systems and the different types of security cameras that are available, a lot of people do not think about incorporating microphones into their security systems. Although microphones are not for everyone, they can be a beneficial addition to some security systems, whether in the home or at the family’s business. Why Do People Connect Microphones To Their DVR Systems? There are a variety of reasons why individuals connect microphones to their DVR security systems. Security systems can be used for much more than protection from burglaries, and installing a microphone can help with this task. Many parents with babies and young children like to be able to monitor their child from other rooms. Installing a security camera in the baby’s room is a great way to watch the baby, but it does not allow you to hear if the baby is crying or if something is wrong. By attaching a microphone to your DVR, you can use your security camera as a baby monitor as well, allowing you to sleep easier at night and helping to ensure the safety of your child. This is most effective when your DVR system is in your bedroom. If you work from home and spend long days in your home office, you can also keep the DVR system in your home office as a way to keep an eye on your baby during nap time or while the baby is playing in a play pen. A microphone can also be used to help protect older children. Hooking a microphone up to your DVR allows you to listen in on your children while they are talking or playing with others, allowing you to ensure that you child is not involved in dangerous or illegal activities. A microphone also allows you to crack down on bullying between siblings or playmates, and it can help you to solve behavioral issues and other problems that you might not already know about. Some people also use a microphone as a way to perform detective work. A microphone that is hooked up to a DVR can be used to listen in on conversations. Many suspecting husbands and wives have hooked microphones to their DVR systems, allowing them to catch a loved one in a suspicious phone call or other suspicious activity. Hooking a microphone to a DVR system is a lot more affordable than hiring an expensive private investigator, and it can be just as effective when used properly. Microphones that are attached to DVR systems also provide additional security. Sometimes valuable evidence can be found by listening to what a criminal is saying, making it possible to sometimes stop crimes before they happen. Even if the crime does occur, sometimes the audio that accompanies a security tape can help law enforcement officials catch the burglar or vandal. Do I Need To Connect a Microphone To My DVR? Microphones are not an essential component of most security systems, but they are handy in some cases. If you have small children or babies in the home, you should certainly consider adding a microphone to your DVR system. Although you don’t have to have a microphone in every room, it could be beneficial to have one by your baby’s crib or in your child’s playroom or nursery. Since audio equipment for a DVR system can be expensive, you don’t want to install microphones where they are not needed. It is important to carefully consider the benefits of having a microphone in certain rooms of your home or areas of your property. If you determine that you do not need a microphone for a specific area of the home, it is better to avoid installing one in order to cut costs. However, if you think that connecting a microphone to your DVR system could be beneficial, there are plenty of ways to do it easily and effectively. Whether you are a homeowner or business owner, it is important to research the laws on recording in your area. Different countries and different states have varying laws when it comes to tape recording conversations, and it is important not to break these laws in order to avoid criminal or civil charges. You should carefully research these laws before connecting a microphone to your DVR system, and you should consult an attorney if you are unsure of how any of these laws may affect you. Is It Difficult To Connect a Microphone To A DVR? If you are holding off on connecting a microphone to your DVR system because you want to avoid hiring a costly technician to do it for you, you shouldn’t worry. If you have the necessary components, you will find that connecting a microphone to a DVR is a fairly simple process that nearly anyone can do. Since you will already have to spend money on the microphone and other components, you will want to cut costs on installation as much as possible. Doing it yourself is fairly simple with the right components and with proper instructions. 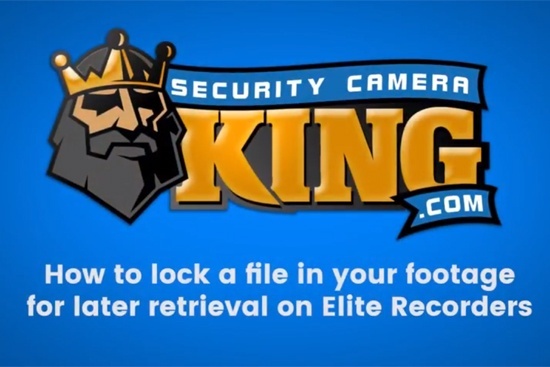 Many security companies will exaggerate the difficulty of this process so that you will pay them to connect your microphone for you, but this is typically just an unnecessary expense. How Can I Tell If My DVR System Is Compatible With a Microphone? Before connecting a microphone to your DVR system, it is important to make sure that your DVR is compatible with microphones. Most DVR systems include an RCA input that is designed for use with a microphone. Some DVR systems only allow for one microphone to be plugged in at a time, but some of the higher-end DVR systems include options for several more. What Will I Need In Order To Connect a Microphone To My DVR? Obviously, you will need a good DVR system as your starting point when incorporating a microphone into your security system. If you do not already own a DVR system, there are various reasons why you should purchase one. A standalone DVR system is one of the most effective ways of providing security to your home or business, as it allows you to run security cameras throughout your property. These security cameras are far more effective than a simple microphone at deterring crime and catching criminals in the act of theft or vandalism. DVR systems are available in a wide range of prices, and an inexpensive, small and simple unit is usually sufficient for residential purposes or for a small business. Next, you will need a microphone. No one microphone is perfect for all uses, so it is important to choose a microphone that is sufficient enough for the purposes that you need it for. Some microphones offer clearer sound than others, and it is usually best to spend a little extra money to purchase a higher quality microphone than to waste your money on an inexpensive one that offers poor sound quality. The best choice for these purposes is a microphone that includes in a built-in amplifier. Even microphones that offer premium sound quality can be difficult to hear for security purposes, as sounds are often muffled or too far away for a clear sound to be heard. If you do not purchase a microphone with a built-in amplifier, you will have to purchase an external amplifier, which is more costly and more bulky. In some cases, a simple DJ mixer can be used in place of an amplifier, but these options also take up extra space, making your entire security unit far more intrusive in your home or business. In addition to a microphone and some type of amplifier, you will obviously need to purchase the necessary cables in order to connect your microphone to your DVR. Different types of cords are available and many of them will work, but you want to purchase the most affordable cord possible in order to cut costs; you also want to purchase a cable that makes the connection easier for you if you are the one installing it. Some cables are simple “plug and play” models that make the whole process a snap. A CAT 5 cable is another option for connecting a microphone to your DVR system, and a CAT 5 cable is an exceptionally good and convenient choice if you are already using CAT 5 cables for your existing security cameras and security system. When purchasing a cable for your microphone-to-DVR connection, you should first measure your home. Nothing is more frustrating than purchasing everything that you need to connect your microphone to your DVR and rushing home to install it only to realize that your cords are too short. Cables are available in a variety of lengths, often up to 150 feet long, so you should be able to find cables that are long enough for your purposes. When debating between two lengths, it is typically a good idea to go with the longer cable. A cable that is too long is certainly more useful than a cable that is too short, and an extra-long cable can be neatly tied at the end to keep the extra length out of the way. You will also want to think about the small details to make sure that you have everything that you need. In most cases, particularly with a plug and play cable, you will also need a Y-shaped power splitter. A Y-shaped power splitter is a small and inexpensive piece, but it is necessary in order to connect things correctly. This splitter is used to provide power to both the microphone and camera, providing less cords and a neater-looking setup. How Do I Connect a Microphone To My DVR? After you have gathered the necessary items to connect your microphone to your DVR system, it is time to get to work. Connecting a microphone to a DVR is a relatively simple task when using a plug and play cable. All you have to do to get your microphone working correctly is plug the plug and play cable into the input on your DVR system and connect it to a Y-shaped power splitter. You can then run power to both your camera and your microphone. After you have figured out the initial setup of your new microphone, you must also consider where you want to place your microphone. Some microphones are small yet powerful, and these microphones are relatively inconspicuous because of their size. 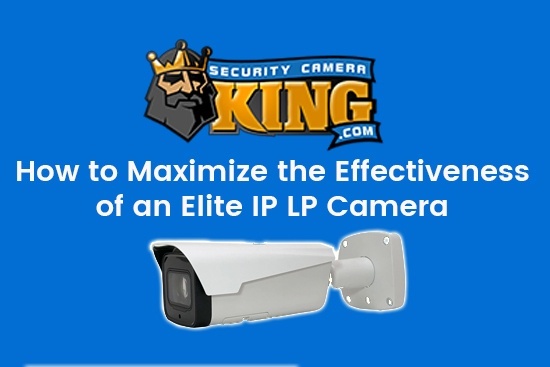 Many people place their microphone right beside or on top of their security camera, which makes it easy to setup and use. You should only do this if you don’t mind if others know that they are being recorded. If you would rather keep your microphone a secret, you have other options. A particularly good microphone with a strong sound can sometimes be hidden in the wall. This makes your system much neater and it makes your microphone undetectable, but you can also hear clearly with a good enough microphone. If you are interested in doing this but are having trouble because of the sound quality of your microphone, you should purchase an amplifier for it to see if it remedies the issue. Some microphones also come in protective cases that both protects the unit and makes it less noticeable in a room. If you explore your options and get creative, you can figure out the easiest and least noticeable placement of your microphone and its related cords, allowing for a sneaky and refined security setup.